Novus Plastic and Acrylic cleaning solutions are widely used by professionals in almost every industry. Their system is very simple to follow and the results speak for themselves. Use the whole system or just a single step to make your Acrylic tank look better than new. 2 oz. 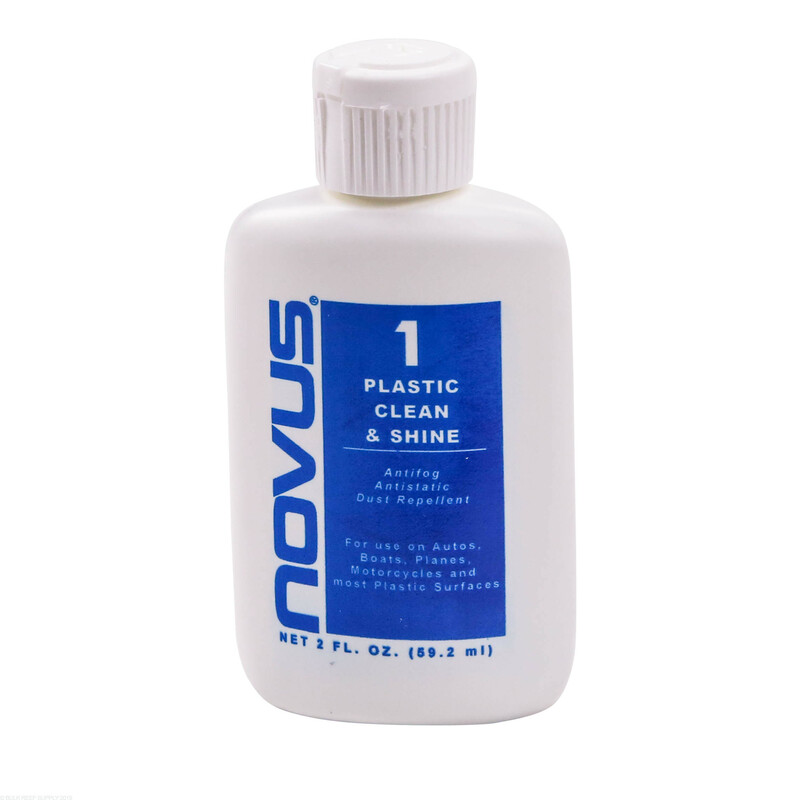 Novus #1 - Plastic Clean and Shine gently cleans without scratching and leaving a shine that resists fog, dust, finger prints, and static. By regularly cleaning with Plastic Clean and Shine your acrylic will be virtually invisible, and super smooth. 2 oz. 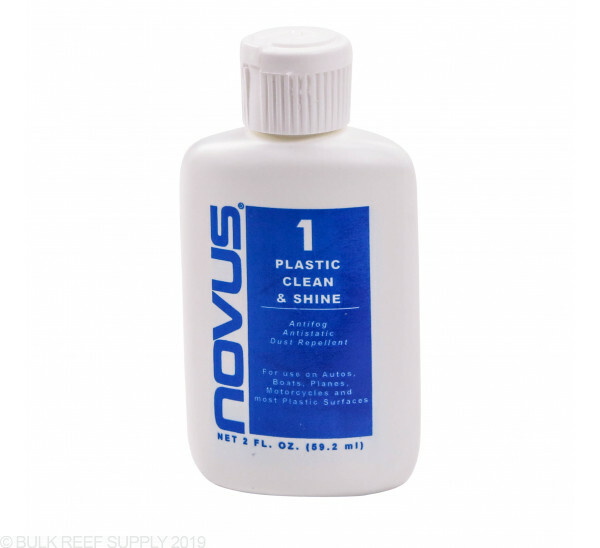 Novus #2 - Fine Scratch remover will remove most fine scratches, haziness, and other abrasions from acrylic and most other plastics while restoring faded and discolored plastics. By removing the damaged areas instead of filling them in like other products the abrasion is gone for good. 2 oz. Novus #3 - Heavy Scratch remover will remove most heavier, deeper scratches, and other large abrasions from acrylic and most other plastic surfaces. The abrasive formula quickly removes scratches that would not normally be removed by most traditional plastic buffing compounds and allowing easy follow up with step #2 Fine Scratch Remover. 6 Pack Premium Polish Mates - Cleaning cloths specifically designed for polishing and cleaning plastic materials. The Polish Mates will allow you to clean your acrylic tank without the fear of leaving scratches behind. Step 1: If the surface is extremely dirty, apply NOVUS No. 1 liberally and wipe using long, sweeping strokes. Do not use pressure at this time or large dirt particles may scratch the plastic. Step 2: Re-apply NOVUS No. 1. Polish using short, circular strokes with a clean portion of the cloth. Step 3: When surface is thoroughly clean and uniformly covered, buff to a slippery glaze with a clean portion of the cloth. Surfaces buffed to a high glaze are more resistant to dust and future scratching. Step 4: Reapply NOVUS No. 1 regularly to maintain the anti-static, smudge and scratch resistant properties. 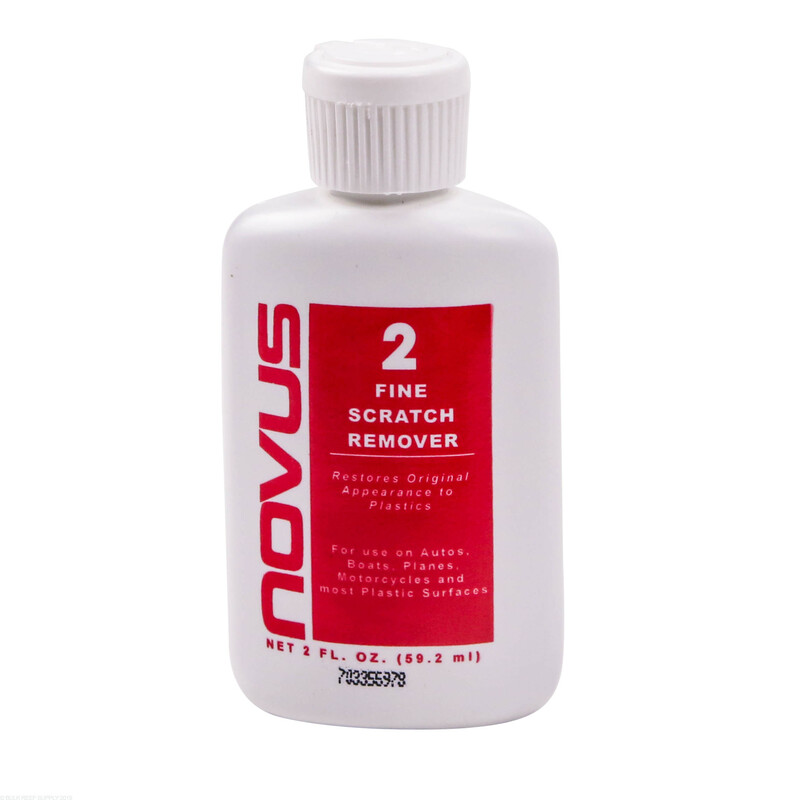 For fine scratches that will not be removed by Novus #1 Plastic Clean & Shine we suggest using Novus #2 Fine Scratch Remover. 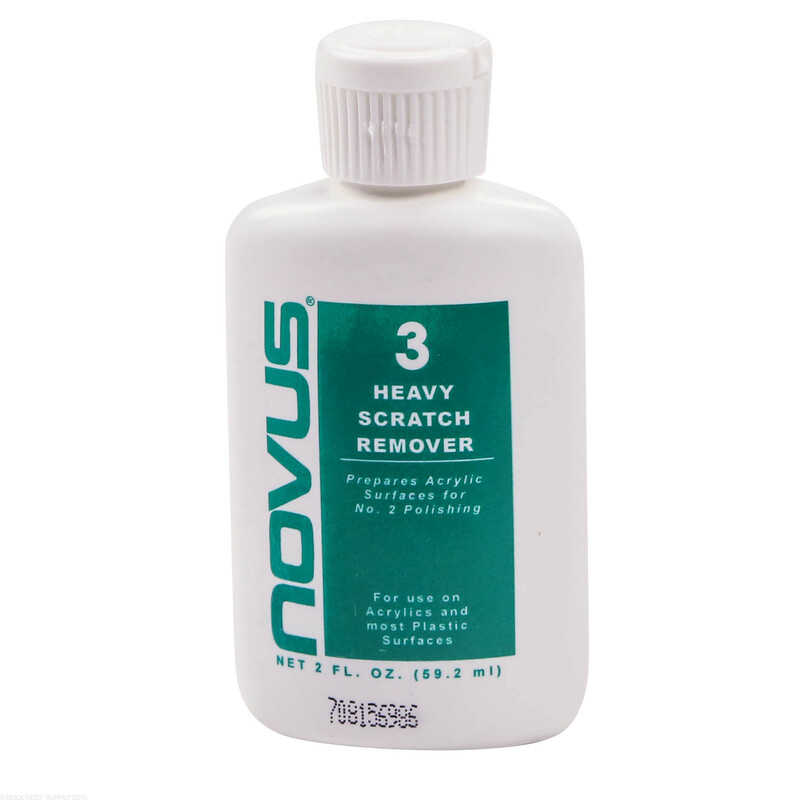 Larger, deeper scratches may require Novus #3 Heavy Scratch Remover. Step 1: Observe condition of the surface to be treated. The deeper the scratches, the greater the pressure required to remove them. 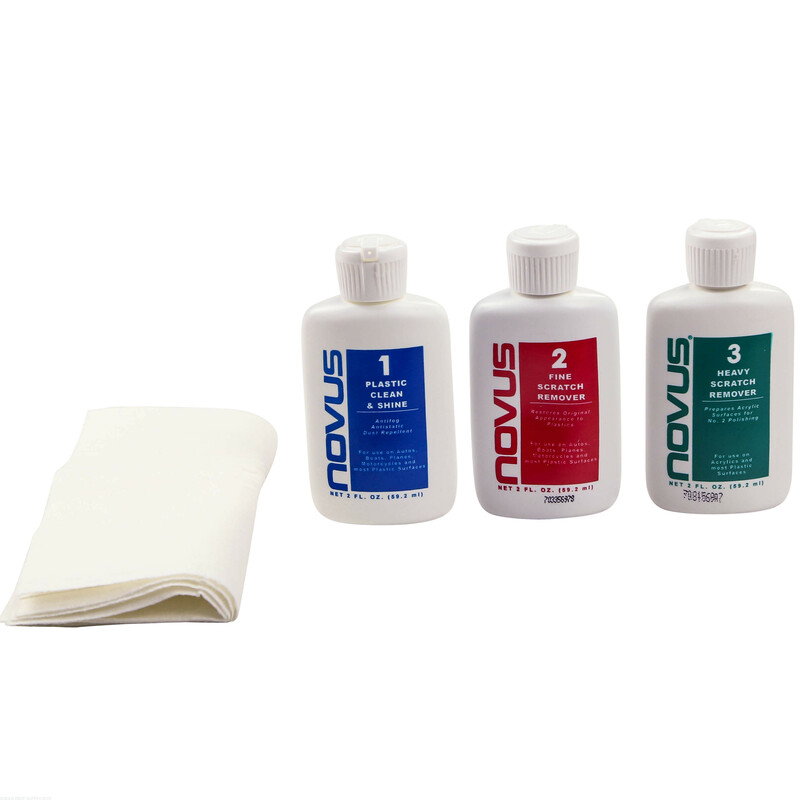 If the surface is dirty, clean with NOVUS No.1 before applying NOVUS No. 2. Step 2: Shake well. Test in an inconspicuous area. Step 3: Apply NOVUS No. 2 liberally. Using a clean, soft cloth, polish with a firm back-and-forth motion at right angles to the scratches. Keep the cloth saturated with polish at all times. Step 4: When the worst scratches have been polished out, reapply NOVUS No.2 uniformly in a circular motion to the entire surface using short, circular strokes and light pressure. Allow to dry to a light haze. Step 5: Using a clean portion of the cloth, buff the surface to a slippery glaze using firm, short strokes. This procedure is imperative in achieving the best results. Step 6: For heavy scratches, multiple applications of NOVUS No. 2 or application of NOVUS No. 3 may be required. Step 7: Follow with NOVUS No. 1 for best results. Step 1: Shake well. Test in an inconspicuous area. Step 2: Apply NOVUS No. 3 liberally. Using a clean, soft cloth, polish with a firm back-and-forth motion at right angles to the scratches. Keep the cloth saturated with polish at all times. 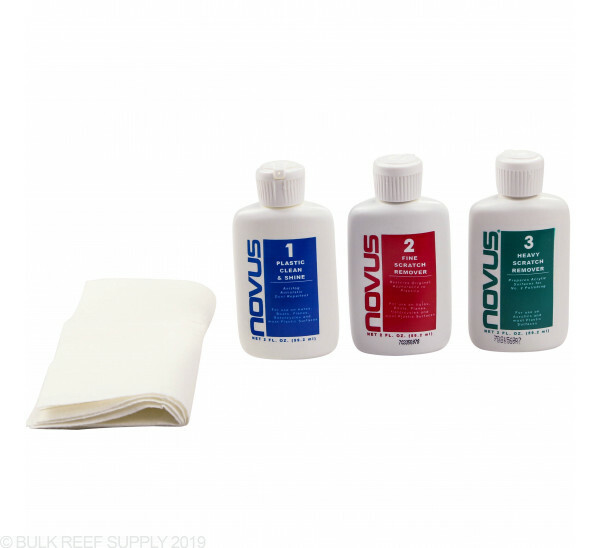 Step 4: Using a clean cloth, apply NOVUS No. 2 in a circular motion uniformly to entire surface. Polish using light pressure until NOVUS No. 2 dries to a light haze. Step 5: Using a clean portion of the cloth, buff the surface clean. Follow with NOVUS No. 1 for best results. Note: Do not use step 3 on coated Plastics. Worked well by hand. You've got to put a little work in of course but not something you'd have to be worried about doing any damage with.